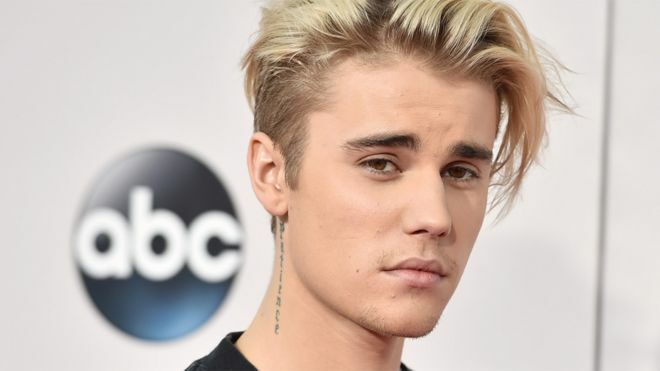 Justin Bieber has pulled off another chart coup by occupying the number one, two and three spots with his songs - a feat never accomplished before. The Canadian singer remains in pole position in this week's singles chart with Love Yourself and also stays put at two with Sorry. Bieber's former number one track What Do You Mean?, meanwhile, climbs one place to three. In the album chart, Adele's 25 is number one for a seventh straight week. Her third solo record again triumphed over Elvis Presley's If I Can Dream, her closest rival, on what would have been the legendary singer's 81st birthday. The ubiquitous Bieber sits one place behind them with Purpose, just ahead of Jess Glynne's I Cry When I Laugh at four and James Bay's Chaos and the Calm at five. A campaign to send Motorhead's Ace of Spades into the Top 40 following the death of lead singer Ian 'Lemmy' Kilmister sees the track re-enter the singles chart at 13. The song's previous highest position came when it was first released in 1980, when it reached 15th place. Further down the chart, at number 33, Craig David scores his first top 40 hit in eight years with When the Bassline Drops.